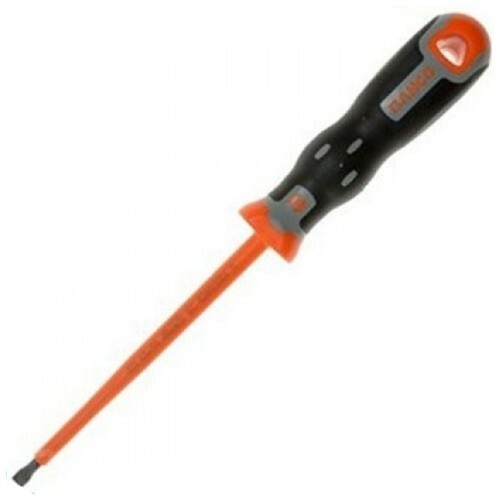 Insulated safety screwdriver for low voltage work up to 1,000 Volts. Individual voltage control up to a load of 10,000 volts. Three component handle Thermoplastic Rubber and Rudolit. Double shaped handle for use with both hands. All Irazola screwdrivers are now being re-branded to Bahco.